Ontario’s premier said Friday she “absolutely” has confidence in Corrections Minister Yasir Naqvi, even as critics are questioning his ability to manage the province’s troubled jails. Premier Kathleen Wynne said stuffing inmates into shower cells at the Ottawa-Carleton Detention Centre “shouldn’t have happened” but Naqvi has a “clear plan” for improving the environment inside provincial jails and is working on making it better. “This is not just about one institution,” said Wynne, who was in Ottawa to deliver a speech at a Canada 2020 forum and participate in a technology roundtable discussion at Invest Ottawa. But critics are questioning whether Naqvi, the MPP for Ottawa Centre, has control over his own ministry after managers at the jail ignored his direct order that shower cells no longer be used. They continued to use them for days afterward, only stopping after Postmedia brought it to the minister’s attention. 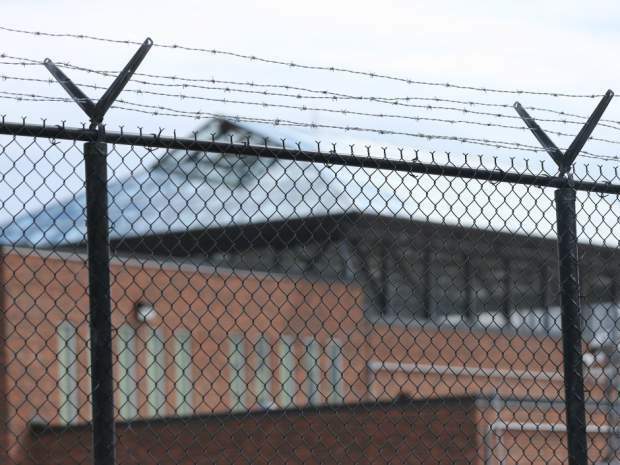 “If the minister doesn’t even know what’s going on in his own backyard, what else does he not know?” asked Oshawa MPP and NDP corrections critic Jennifer French, who toured the Ottawa-Carleton Detention Centre in February. 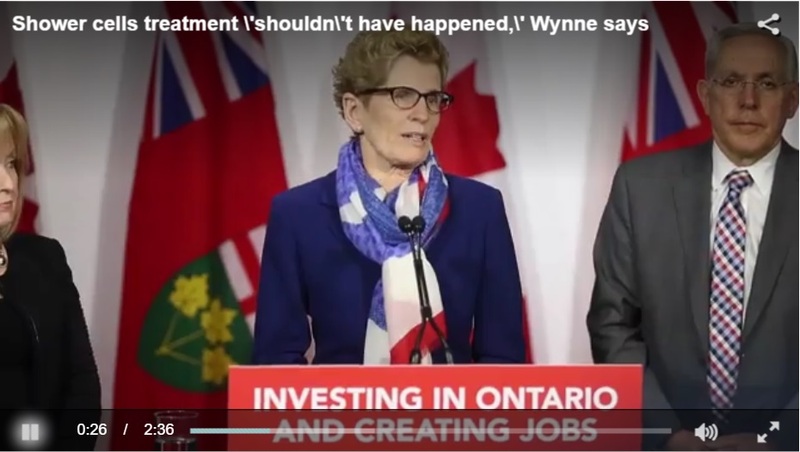 That was echoed by the Conservative corrections critic and MPP for Chatham-Kent-Essex, Rick Nicholls, who said Naqvi and the Liberals had done little to fix “deplorable” conditions in provincial jails. Critics are questioning whether Naqvi, the MPP for Ottawa Centre, has control over his own ministry after managers at the jail ignored his direct order. After refusing to answer questions on Thursday regarding who was in charge at OCDC, Naqvi released a statement late on Friday announcing changes to the jail’s management structure. “Effective immediately Deputy Superintendent Mike Wood has assumed the role of Acting Superintendent at OCDC,” the statement said. “The former Superintendent at OCDC, Maureen Harvey, is no longer with the Ontario Public Service. Staff had reported seeing Harvey leaving in her car at 10:30 a.m. Thursday after a meeting with the ministry’s deputy director of operations for east region, Randy Denis. The statement did not give a specific reason for Harvey’s dismissal. Both inmates and staff report that special investigators from the ministry are now crawling all over the jail, examining and taking photographs of the shower cells. Naqvi promised an investigation into whether his directive was being followed after learning the cells were still being used. It comes the same week that 59-year-old inmate Ronald Marion went into cardiac arrest in the jail’s health care unit — a unit that routinely houses sick inmates who are triple bunked. Marion’s family is now calling for a coroner’s inquest and for answers about how and why he died. Conservative MPP Randy Hillier called Naqvi a “poised” and “intelligent” man, but said that recent events have shown that “there is a lack of interest in dealing with the mundane and minutiae of responsibilities, and far greater regard to sweep these sorts of things under the rug and out of the public limelight,” said Hillier. “I’ve never heard a minister be so clear on anything, so if even that can’t be appropriately interpreted that doesn’t really bode well for any other initiatives or directives,” said French. Even Larry Seguin, the inmate whose story of spending time sleeping in a damp and mouldy shower cell led to the minister banning the practice province-wide, said he has trouble believing the minister didn’t know about shower cells, since it had been going on for years at the jail. Seguin, who was back at the detention centre Friday on new charges, said he is happy his story could finally bring an end to the harmful practice and put overcrowding in provincial jails in the spotlight.